After beating out Vitor Meira with 59% of the vote, Dario becomes the first (and probably last) IRL helmet champion. 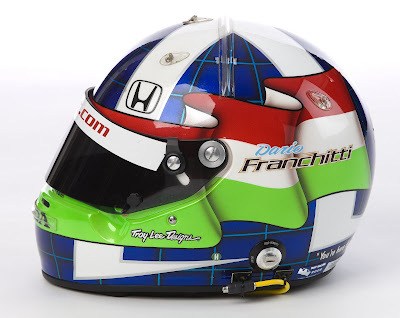 Sure, Dario Franchitti has won the 2007 Indianapolis 500 and Indycar Series Championship, but from here on out when he attends any great event he will be introduced as the 2009 Indycar Series Helmet Champion presented by 16th And Georgetown. Now, lets get to racing! !